Is limit and continuity an important part of IIT – JEE preparation? What are the best books for the preparation of limit and continuity? The concept of limit and continuity is the backbone of calculus. Each and every notion of calculus can be considered to be a limit in one sense or the other. The concept of limits has also resulted in various other branches of calculus.Continuity is completely dependent on limit. The two concepts go hand in hand. Limits and continuity is one of the most important topics of various competitive exams like the IIT JEE. Besides being simple, this topic is scoring too. Hence, those eyeing exams like IIT JEE must master this topic in order to remain competitive in the JEE.We shall throw some light on the concepts related to limits and continuity and also discuss various tips to master this topic. A limit is basically a number attained by a function when the independent variable of the function approaches a given value. For example, if we have the function f(x) = 6x, then it is stated as, “the limit of the function f(x) as x approaches 2 is 12. Mathematically, it is expressed as limx→2f(x) = 12. Both side limits must also be equal i.e. 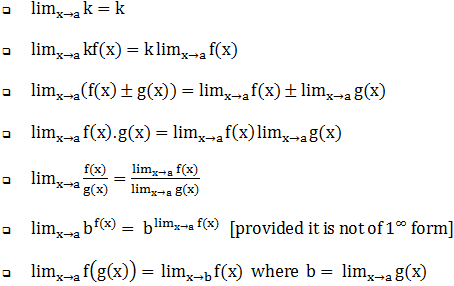 limx→a- f(x) = f (a) = limx→a+ f(x). Those willing to go into the intricacies of these topics can refer the study material on limit and continuity. A function is said tobe continuous provided it is continuous at all the points of the domain. If a function is continuous at some point, then the limit necessarily exists at that point. The sum, difference, product and quotient(as long as denominator is non-zero) of two continuous functions is continuous. A function fcontinuous on a closed interval [a, b] attains every value between f(a) and f(b) at least once on the open interval (a, b). Functions which can be drawn on appear without lifting of pen in between are said to be continuous. While polynomial functions are always continuous,rational functions are continuous only if the denominator is not equal to zero. When the left hand limit and the right hand limit at the point are not equal, then we have ‘finite irremovable discontinuity’ at the point. In case the limit of function exists at a point but either the function is not defined at that point or is defined wrongly, then the function is said to exhibit removable discontinuity. Limit of sum is the sum of limits. Integral part of x([x]) has jump discontinuity at every integral point. Continuity of a function at a particular point does not guarantee its differentiability at that particular point. A function continuous on a closed interval [a, b] is necessarily bounded if both a and b are finite. This is not true in case of open interval. If the function u = f(x) is continuous at the point x = a, and the function y = g(u) is continuous at the point u = f(a), then the composite function y = (gof)(x) = g(f(x)) is continuous at the point x = a. Limit and continuity is an important component of differential calculus which carries weightage of around 15-20% in various competitive exams like the JEE. 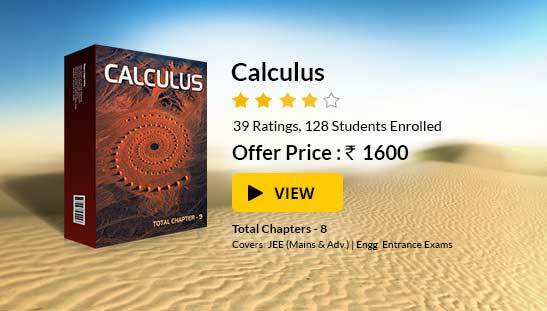 This chapter also lays the foundation for various other topics of calculus. Focus on clearing basics and conceptual knowledge rather than solving questions for reaching at the solutions. Maxima & Minima is a simple topic but consistent practice is essential in order to excel in it. Practice is the only key to success. Try solving questions using different methods like standard expressions, L’Hospital’s rule, series expansion etc. Whenever you are about to attempt a question on maxima or minima, read the question carefully to identify what it actually demands. A problem on limits must first be analyzed using series expansion of the function. All the important limits and expansions must be on your fingertips. While solving problems involving limits of integral part functions, try adopting the basic root. The questions on one-sided limits and continuity should preferably be calculated using the basic definition. Practice solving questions using L’Hospital’s Rule as it saves time. 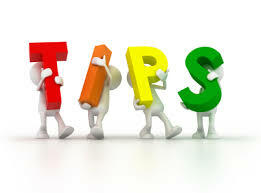 Attempting good number of questions from the previous year papers and sample papers is a must. A real life example of a continuous function is represented by the temperature throughout the day. The concept of limits is used in the measurement of instantaneous speed of the vehicles like motorcycle, car, truck etc. The concept of limit proves helpful in calculating the area of complex geometrical shapes where basic geometry fails. Another important application of limits and continuity is in the fields of astronomy and time travel. The interaction between the various species within the eco-system is also studied with the help of concepts of calculus. Engineers use calculus for building skyscrapers, bridges, robotics etc. Electrical and computer scientists use this concept for designing various systems. The earth’s ability of maintaining and sustaining various species is also a real life example of limits.As the limit is approached, or with the end of resources, it eventually reaches zero and the population which needs it, dies. 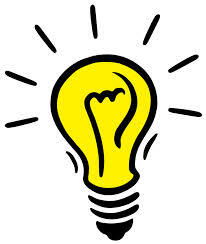 Calculus is used in modeling engineering problems which are often stated as ordinary or partial differential equations.